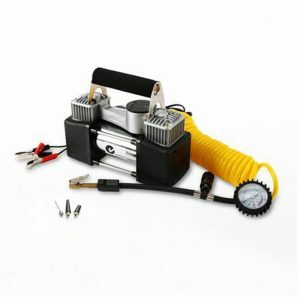 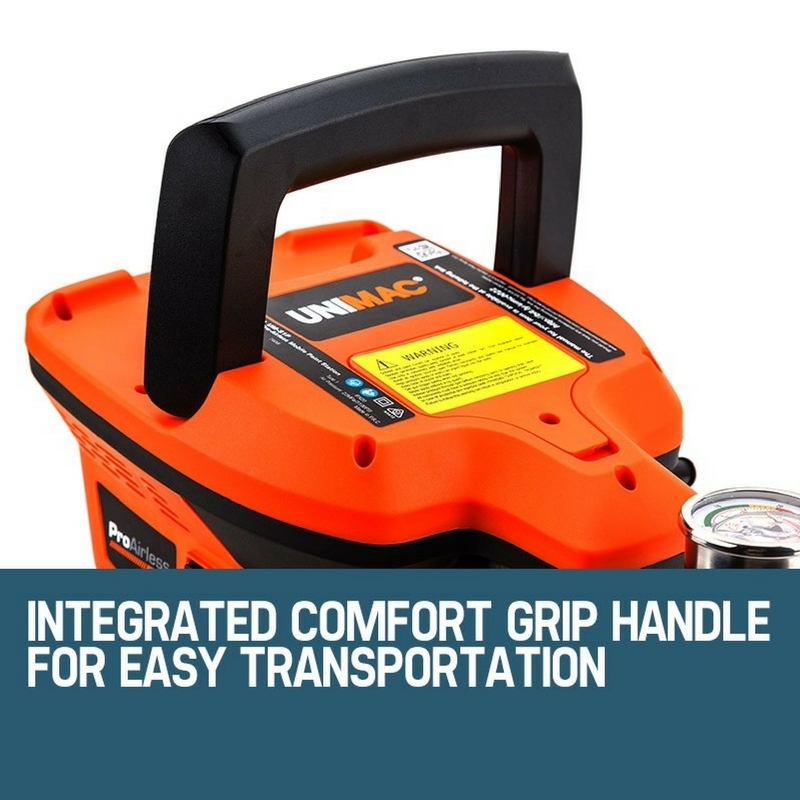 The Unimac 740W Pro-Airless paint station features professional grade accessories. 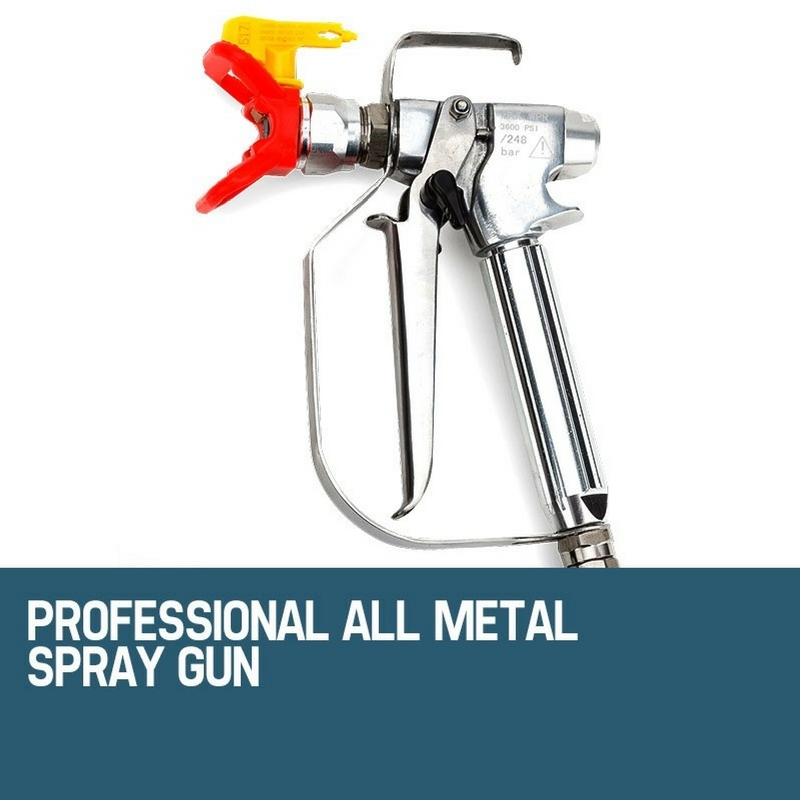 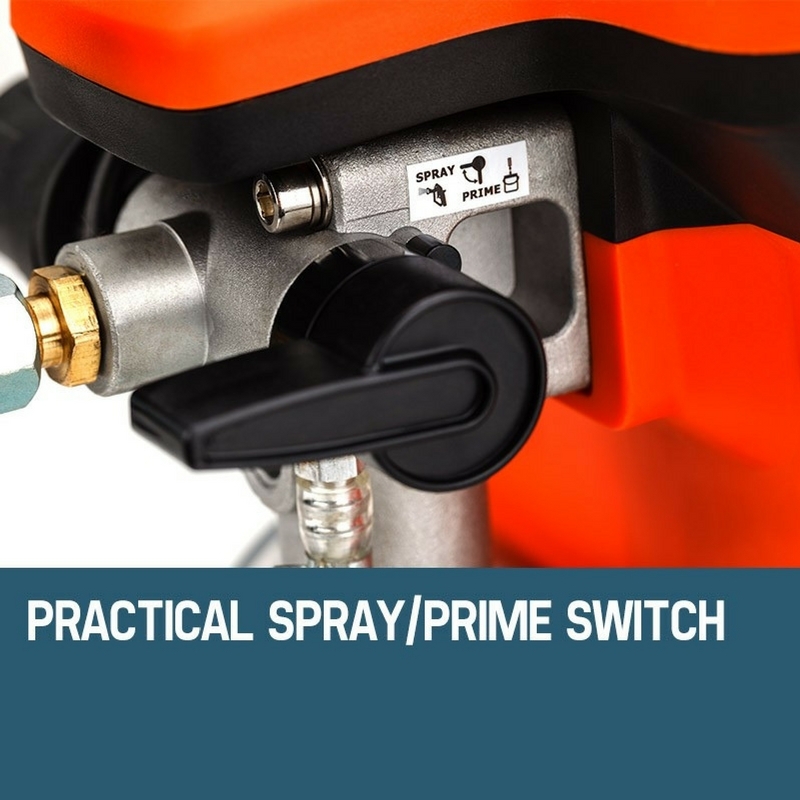 The all metal spray gun produces a perfect coating and withstands long-term wear and tear. 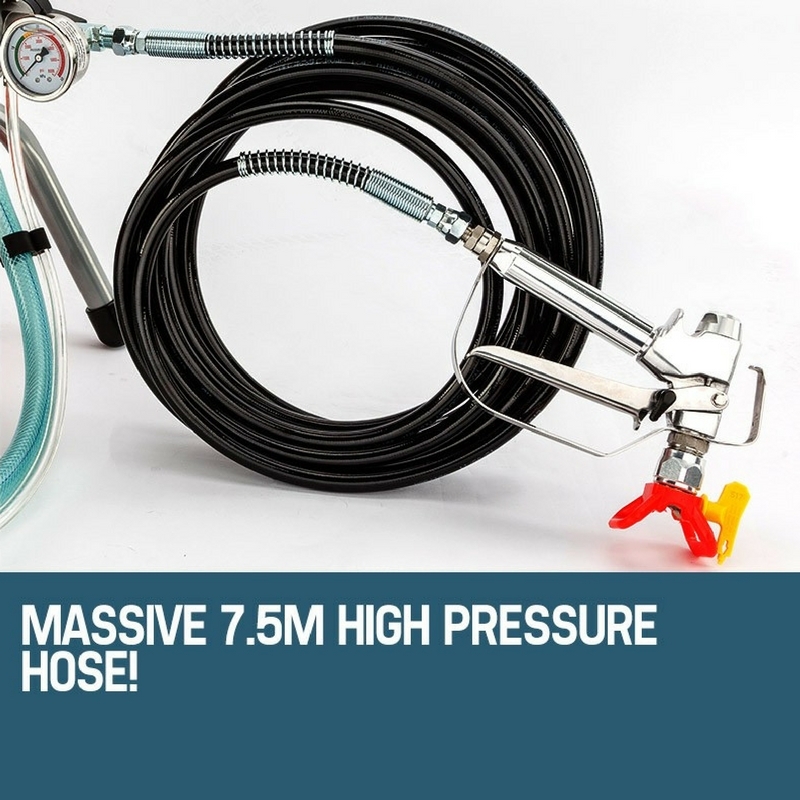 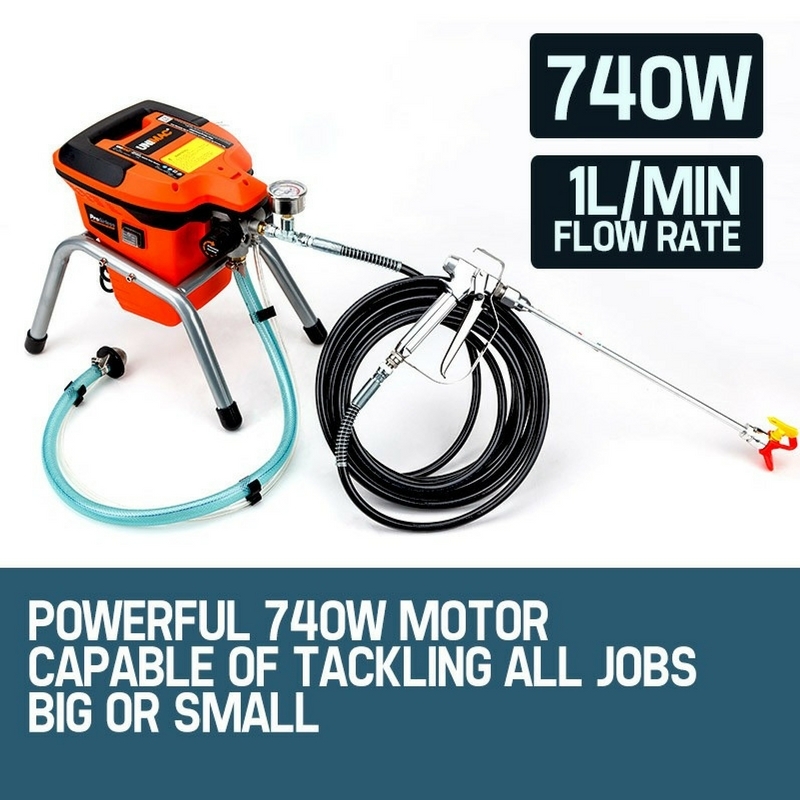 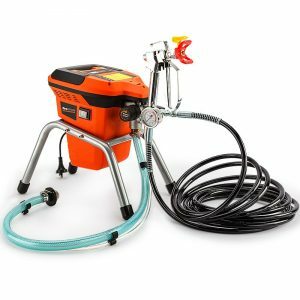 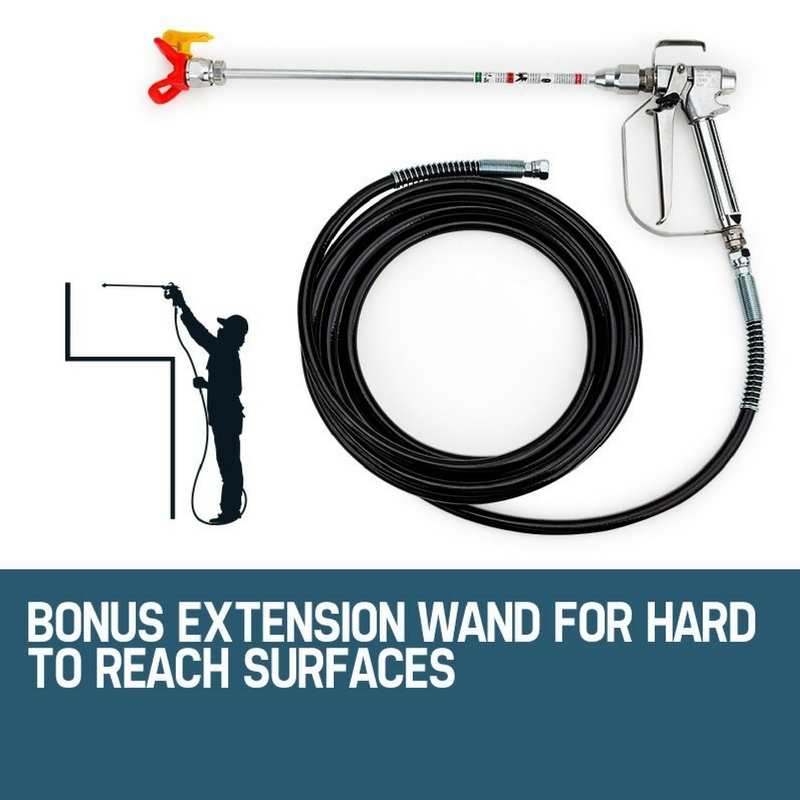 Its massive 7.5m high pressure hose coupled with the BONUS nozzle extension wand means you can get paint anywhere you need it. 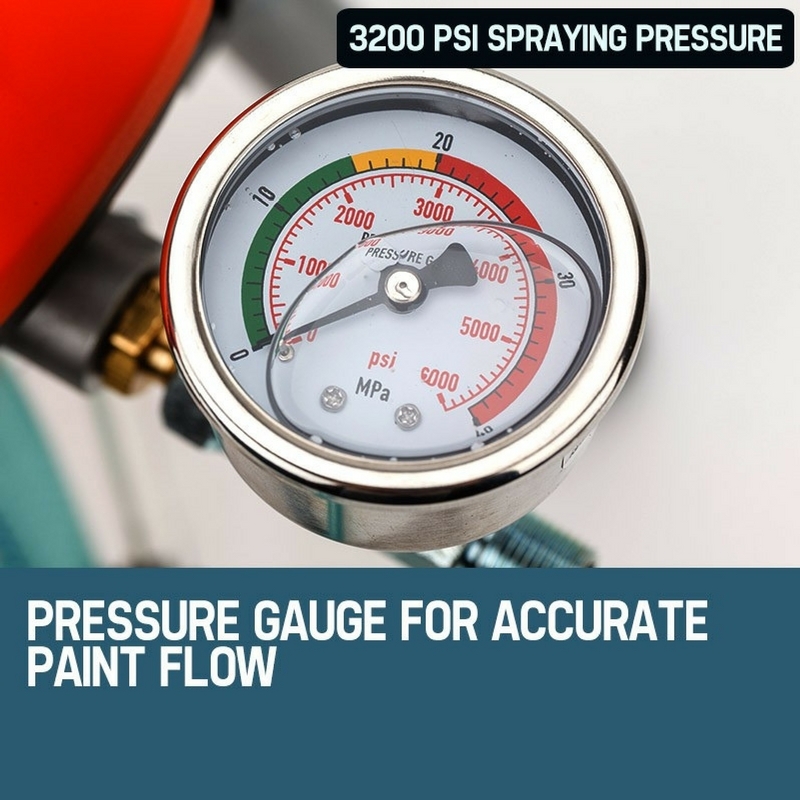 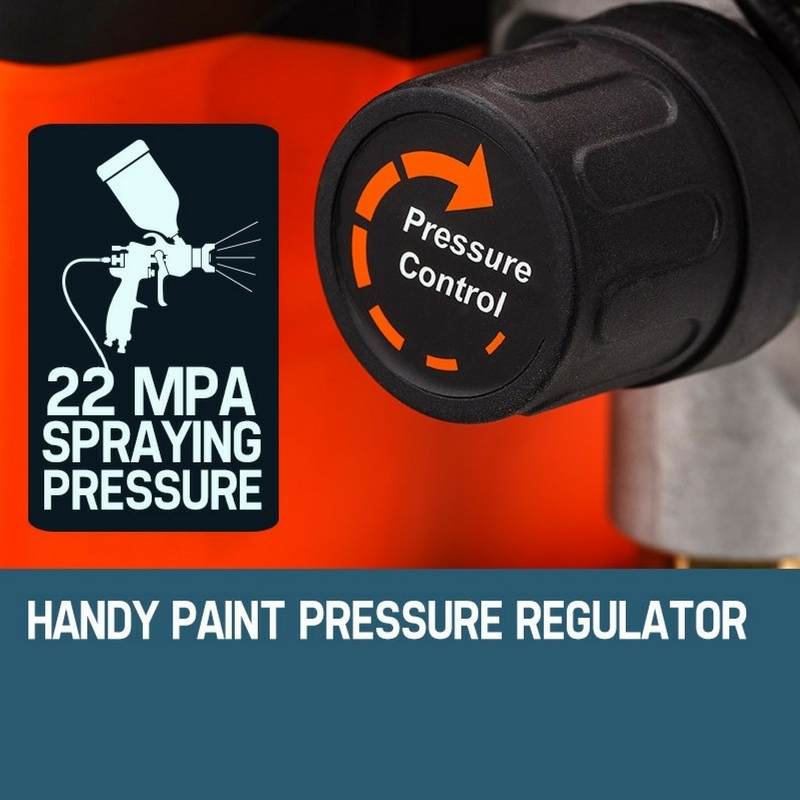 Not to mention the paint pressure regulator, quality mesh paint filter and pressure gauge, all of which work together to ensure that your coatings are applied to a flawless professional standard! 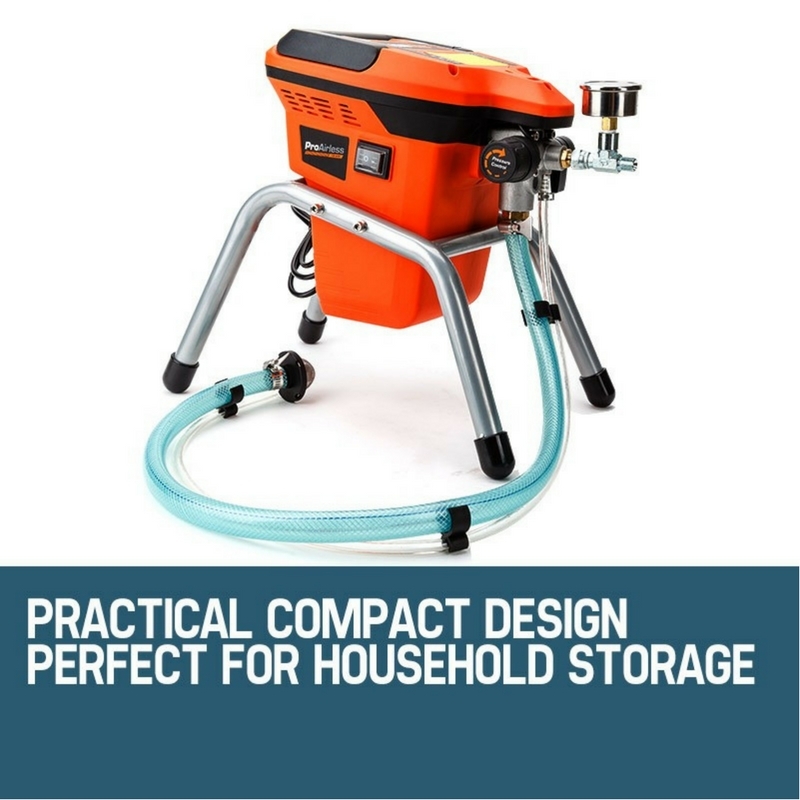 The two-piece body reduces user fatigue, and the fact that it has a sturdy four legged design means you can simply park it next to you and spray away. 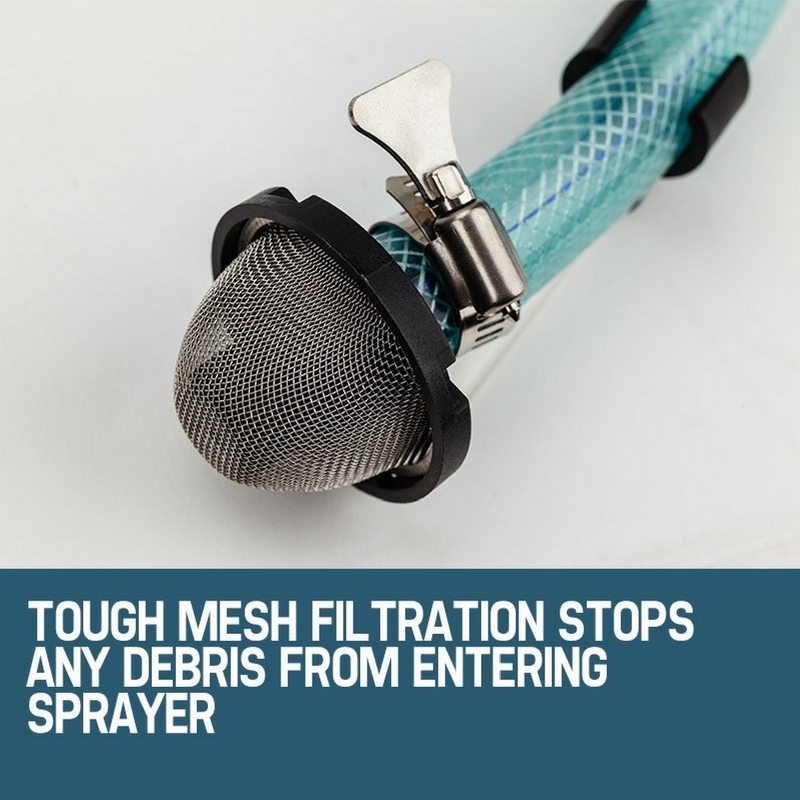 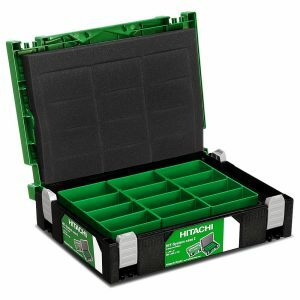 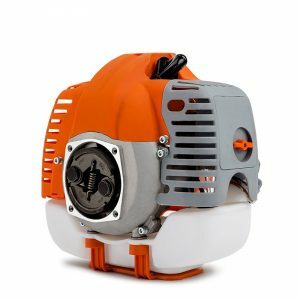 You can also find comfort knowing this item comes standard with spare seal rings, filters and a range of cleaning utensils.